Calling to mind a romantic duet, Love Song is inspired by the work of the Jewish mystical painter, Wassily Kandinsky. 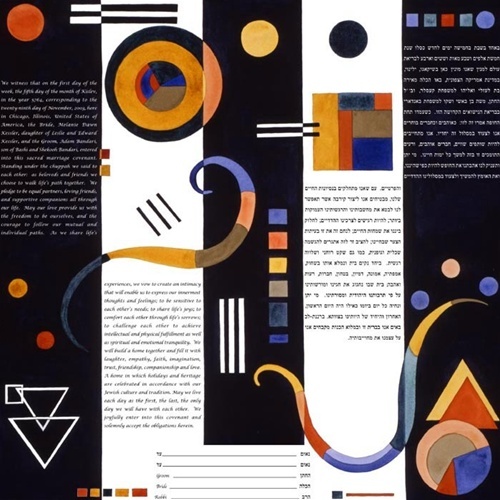 Set against a black and white background of piano keys, the Hebrew and English texts dance among vibrant, musical forms representing the sweet soaring melody of a love song. A stunning centerpiece for your home, Love Song celebrates the ever changing, ever evolving duet of your love.